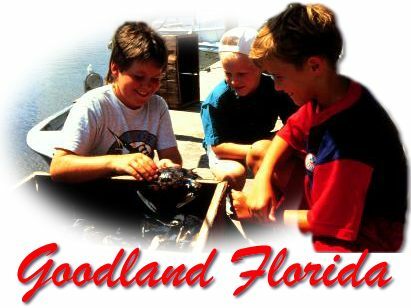 The tiny community of Goodland, located off State Road 92 at the southeast corner of the island, offers visitors a laid back charm unlike any other place in the region. The stillness of the village, where cats and dogs can be found napping in the streets, changes drastically on Sundays when hundreds of residents and visitors make the pilgrimage to Stan's for an afternoon of outdoor music, drinks and dancing. Johnny Roberts is believed to have founded Goodland in the late 1800's. 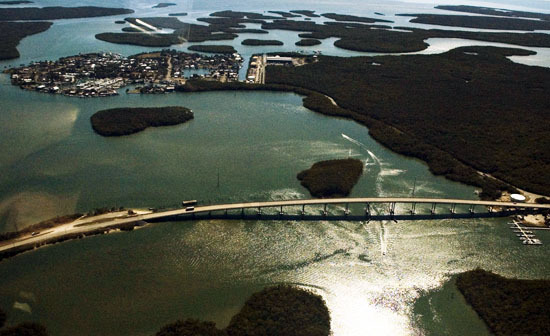 He named it Goodland Point because it featured a 40-acre shell mound left by the Calusa Indians that was ideal for growing fruit and vegetables. It was also a great location to fish. Roberts would later sell his squatter's rights to Samuel Alexander Pettit, around 1890. 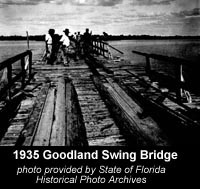 Goodland's isolation remained virtually intact until 1938 when State Road 92 was completed and a swing bridge installed. At that time, Pettit's son Harry single-handedly built the winding Goodland road to the state road intersection using shells from the Calusa mounds. By 1949, the shape of Goodland would forever change with the arrival of families from nearby Caxambas. Developers moved the families to Goodland in an effort to launch ambitious building plans, which failed to materialize. Today, Goodland continues to buck the significant development changes around it. About 200 residents call the fishing community home.